FIRST (For Inspiration and Recognition of Science and Technology), an international nonprofit organization founded to inspire youth to participate in science and technology, has hit a milestone achievement of $50 million for its college scholarship program for high school and college students interested in STEM. The FIRST Scholarship Program connects participants in the organization’s two robotics competitions — FIRST Tech Challenge (for students in grades 7 to 12) and FIRST Robotics Challenge (for high schoolers) — with higher education institutions, corporations, associations and FIRST alumni. The program is supported by nearly 200 organizations, such as the Stevens Institute of Technology, and makes almost 2,000 college scholarship opportunities available. 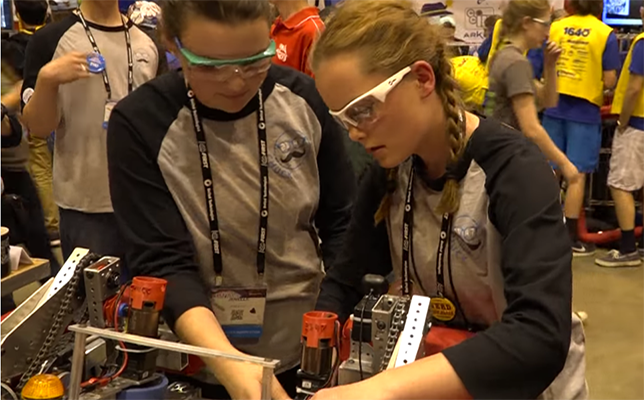 A video highlighting the FIRST Robotics Challenge can be found below. To learn more about the program, visit the FIRST Scholarship Program site.